If you don't have one, that's okay too. Do you really want to know what "I" have to say about him (plenty others are like him in this day and age, so why not he to)? below read what "others" say of him. "They wear kippot serugot under their shtreimels, gartels over jeans or army fatigues. They are chassidim of the Pashkaner Rebbe, a sixth-generation descendant of Rav Yisrael of Ruzhin and husband of Rebbetzin Tziporah — daughter of the Imrei Chaim of Vizhnitz. 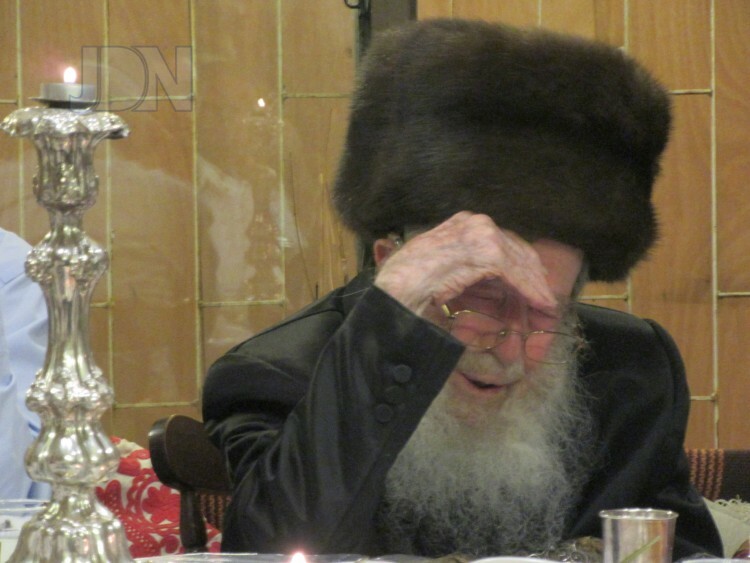 While Gilo isn’t exactly Bnei Brak, Rav Yisrael Friedman, who’s straddled many worlds in his 91 years, believes he’s been able to bridge major gaps in Klal Yisrael." PS,ask the older viznitzer chasidim the ones who talk.. and you'll have your 'Angel'. Do not write anything if you still got some brains. Whatever they write about him is sheker anyway, and emes is pretty hmmmmmmmmmmmmmm..whatwever.. just let the man rest finally. "נישט סתם איבערקייען וואס אנדערע שרייבן"
To avoid the fat checking cabal it's better to quote others than yourselves.
" עבד ברפת ומאוחר יותר 'כרועה צאן' בקיבוץ עין חרוד"
"and emes is pretty hmmmmmmmmmmmmmm..whatwever.."
Posting the Pashkaner Rebbe after the sereter the later starts looking more favorably, don't you think? Pains me to say it, the Misnagdim & Maskilim were right. Hasidim are spiritually bankrupt. They've been bankrupt for 200 years. The satmar rebbe said this 57 years ago. "Pains me to say it, the Misnagdim & Maskilim were right. Hasidim are spiritually bankrupt. They've been bankrupt for 200 years. " Caution: Aything out of Russia is fakey, considering your cryptic writings from Russia like "Do not write anything if you still got some brains" you maybe "microwaved" and who knows Unmssked. Dumbnow, whatever left from the misnagdim in the U.S. is due to the spirit of the chasidim, Witness America before WWII. "as his nephew the holy reb mendel...."
Or his nephew the holy Reb yisruel of monsey. simon: Pains me to say it..
take two aspirin and check back in the morning, after your rude awakenings. The Duz-is 'raging' against the honorable Pope! and 'raving' on the Hungarian anti-semite Sebastian Gorka ym"s, of course the Duz must be in the Now they must know, after all they have endorsed Trump for President! Oh and according to official site-checks, their site has exactly 125 "DAILY VISITORS WORLDWIDE" (not kidding) and that includes inter-clicks, Now that's serious wouldn't you say?. "kush-mir-in-duz-arein" please! Israel's chief rabbis Rabbi Yona Metzger and Sephardic Chief Rabbi Shlomo Amar, meet with Pope associated Press 9/15/2005, to Celebrate anniversary of landmark Vatican document on relations with Jews. The meeting, the first between the pope and the two chief rabbis, was also significant because the German-born Benedict had in his youth been a "member of the Hitler Youth" ! According to my first hand source, YU in NY had accumulated documents on the SR reb Joel T. and they have documents that the SR before WWII was in contact with the Vatican some how. !פן בחרב אצא your pen equals a sword! The question is whom did Rabbi Gluck represented? you don't just get an audience + a song and a dance in front of the pontiff because you're the official Albany Chaplin Rabbi accepted by all charidem in Brooklyn. There are many logical reason for this meeting, but it don't seem that any is coming forward. "The satmar rebbe said this 57 years ago." He could of say it because he "was" the biggest "spirit" for the last 200+ years. but we can't. Just like he kept on saying the aren't any more rebbe's, It takes one to know one. why is the Belzer a danger? how come the Pashkan'er is not using the traditional ruzener Becker! "Drelyaks and Shmendraks" again The fight is on! is that not a danger to you Mooncatcher?